Your automobile isn’t just a vehicle for taking you from point A to point B; it is a major part of your life. You already give your car the best oil and fuel to take care of it’s engine, but what do you do to keep the auto body in good condition? When people think of a car body, they think it completely cosmetic, and so a lot will ignore it other than a wash and maybe a wax if they feel flashy. 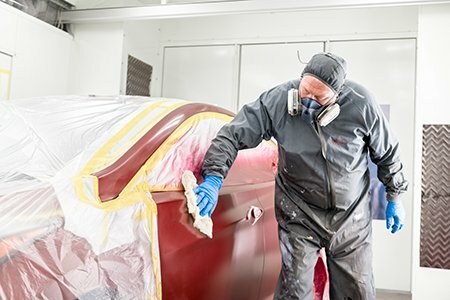 Auto body shops do much more for a car than cosmetic treatment. We use the latest equipment to ensure that your vehicle is restored to it’s original manufacturers specifications. Let’s face it, an accident is a traumatic event that not only leaves the car in disrepair, but also leave you the consumer in a state of disarray. Express Collision Center understands that a hassle free experience is an important part of the repair process. In true Las Vegas fashion, we treat every customer like a VIP. We have arrangements with rental car companies to make sure the transition from your car to a rental is as smooth as possible. Express Collision Center is an honest auto body shop, family owned, and we will never push on you anything you don’t need and don’t want; we believe you as a consumer have the fundamental right to spend your money where and how you want. When you realize you need to go to an auto body shop to fix your car’s body, don’t go just anywhere, choose Express Collision Center who is a locally owned and operated Las Vegas business! You can find us at 5450 Desert Point Dr., Las Vegas or call us today at (702) 676-2010!